In the 1960s, artists began to create work that was critical of traditional art world structures. They questioned what the true nature of art was, and how artwork was expected to look. These artists did not want to rely solely on illusion, or the traditional techniques of painting or sculpture. They believed that the idea is the most important part of the artwork, more important than the finished piece itself. Susquehanna Art Museum presents an investigation of contemporary conceptual art in the S. Wilson and Grace M. Pollock Education Center Gallery August 10 – November 4, 2018. Through the work of eight regional artists, we will explore the processes that artists use to illustrate the unique concepts on display. The beauty of light and clarity, water and life, draws your attention to the center of the painting, “Nine Dragon River Delta.” Look again, it is being enveloped by a dark new reality. The timeless balance of life cycles in this region of Vietnam is dying. Vu Nguyen’s Nine Dragon River Delta revisits a complex childhood scene, both in memory and in the present. 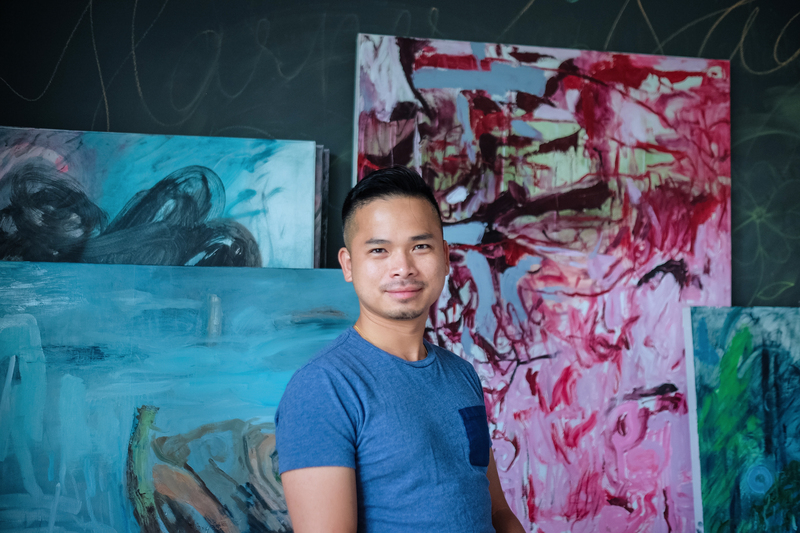 The abstracted landscapes of artist Vu Q. Nguyen are inspired by the Mekong River Delta region of Vietnam, where he was raised. The Mekong River Delta is where 22% of the country’s population lives and the source of approximately half of the country’s food production. Rising sea levels present a challenging environmental obstacle for agriculture in the region. What remains of the fertile land is plagued by widespread poverty. This poverty is rampant throughout the community that relies on the land for survival. As an observer, Nguyen’s work interprets the effects of humans on the environment. He believes that awareness of environmental issues such as climate change can be a first step towards making changes that will sustain future generations.